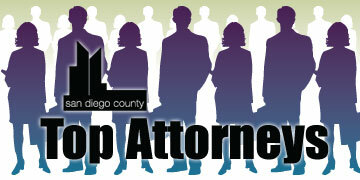 Congratulations to the 2011 San Diego County Top Attorney finalists. Thank you to all of you who participated in the nomination process this year. Nominations for 2012's Top Attorneys will launch in March 2012 - stay tuned! July 11, 2011 - Attorney Ryan Harris of Harris Personal Injury Lawyers, with offices in downtown San Diego and Oceanside, talks about benefits and reasons for hiring a personal injury lawyer. The Transcript conducts a peer voting process to determine the best lawyers in private, corporate, academic and government practice in San Diego County in key categories. 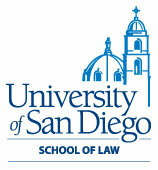 The categories have been selected to represent the main areas of law practiced in San Diego County. Lawyers in private, public, contracts or Federal patent practice that are licensed in the State of California and/or the Federal Patent bench. Lawyers in good standing with the California State Bar that have not had any disciplinary actions leveled against them at any time in the past. Although the categories are very broad, they were created to reflect the primary practice areas in San Diego County. We recognize that there are many specialty practice areas among San Diego attorneys, but cannot accommodate them all. Many specialty practice areas fall under the existing general categories - for an in-depth look at the categories, please see the Practice Areas Examples. If there is an overwhelming request for additional practice areas, they will be considered for possible inclusion in next year�s Top Attorneys. E-mail invitations are sent to lawyers listed in the San Diego Attorney Directory. Contact us to add or update your e-mail listing. Call for nomination notices are also advertised in The Daily Transcript in print and online. Attorneys MAY NOT nominate themselves. What information will be required to make a nomination? Each attorney will be asked to nominate a lawyer (solo, in-house, firm, government, academic) that they have had experience with in a professional setting. We will need to collect information about each lawyer making the nomination and the person they are nominating. The Daily Transcript will need the name, firm/company, phone and e-mail of each party. Each lawyer will be required to tell us why they are nominating the attorney in 500 words or less. Will the information be kept confidential? All information provided will be kept confidential from the person they are nominating. The nominator MAY NOT nominate themselves. The Daily Transcript reserves the right to contact any or all attorneys making nominations to verify the nomination. What happens once nominations are in? The Daily Transcript will tabulate the responses. The top 25 nominated attorneys in each of the categories will be considered semi-finalists. What happens once the semi-finalists are decided? The semi-finalists will be open to a peer voting process and the top 10 ranked attorneys will be considered the finalists. What happens after the finalists are selected? The Daily Transcript will publish a special publication called Top Attorneys. Each of the finalists will be profiled in print and online. Finalists will be contacted by The Transcript to 1. congratulate them on their selection; 2. collect biographical information and a photo. Civil Litigation, Securities Litigation, Bankruptcy, Regulatory Law, Compliance, Mergers & Acquisitions, Business Litigation, Commercial, International, Corporate, General Council, etc. White Collar, Serious Felonies, Prosecution & Defense Attorneys, etc. Estate Administration, Conservatorship & Elder Law etc. Reproduction, Custody, Adoption, Domestic Relations etc. Legal Malpractice, Medical Malpractice, Bad Faith, etc. Workers� Compensation, Discrimination, Wage & Hour Class Actions, Employment Law Counseling, Termination, Union Issues, Management Representation, etc. Environmental, Defect, Condemnation, Transactions, Development Rights, Property Disputes, Titles, Landlord & Tenant, Eminent Domain, Public Works, Land Use, etc. Don't miss out on this wonderful opportunity to recognize your peers or congratulate attorneys from your firm. Highlight your firm's expertise by advertising or sponsoring Top Attorneys 2011. Call 619.232.4381 or e-mail contact@sddt.com to get more information today! July 27, 2011 -- Alex Kreit, an associate professor at Thomas Jefferson School of Law and a 2011 Top Attorney finalist, talks about the school's new campus in downtown San Diego and his work as part of the city of San Diego's medical marijuana task force. July 27, 2011 -- Heather Rosing, shareholder and chief financial officer at Klinedinst PC and a 2011 Top Attorneys finalist, talks about her recent election to the State Bar Board of Governors and designation as a Certified Legal Specialist in Legal Malpractice Law.